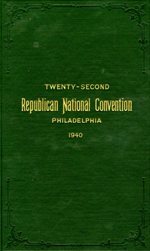 This was the refrain heard from the floor to rafters of Convention Hall, Philadelphia during the summer of 1940 and echoed through that autumn when the Republican Party nominated corporate lawyer and long time political booster Wendell Lewis Willkie of Indiana as their standard bearer for the upcoming presidential election of that year. Willkie (1892-1944), who never held public office was an outspoken internationalist who later became an informal ambassador-at-large for important causes including global welfare programs and civil rights most notably as outlined in his seminal work: One World(located in the Walsh Library Main Collection, Call Number: D811.5 .W495) which heralded the need for a “world government” to aid society at-large which would later come to fruition in part through the establishment of the United Nations a few years after its publication in 1944. 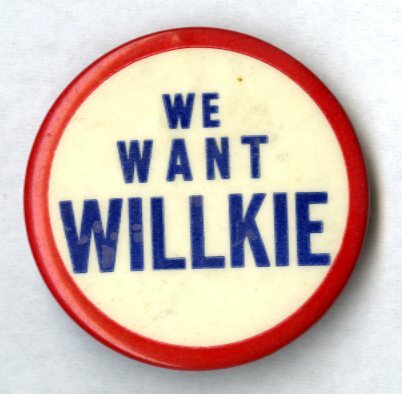 Willkie focused his run for the White House on three primary themes which included the lack of military readiness in case of war, streamlining the “New Deal” programs of incumbent Franklin D. Roosevelt, and the never before attempted third term candidacy of a sitting president. 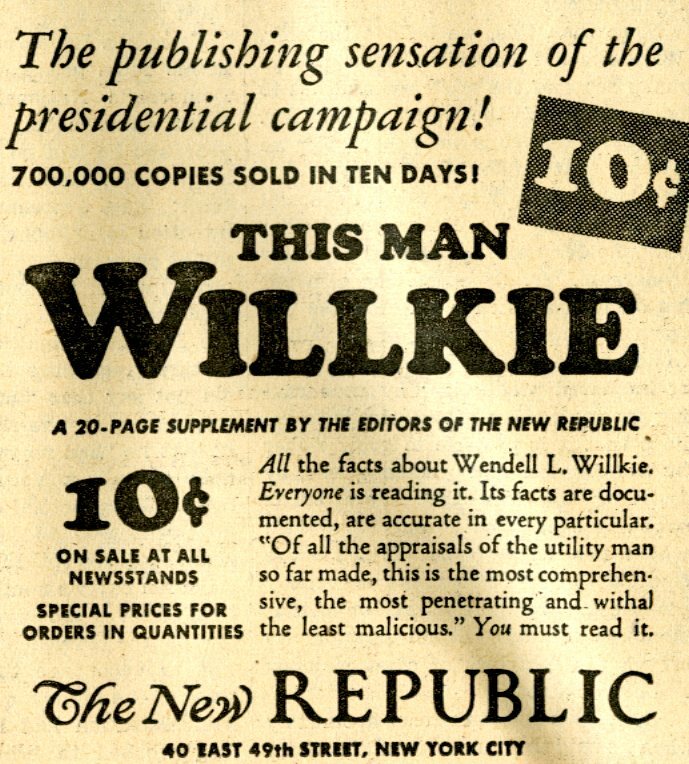 In the end, Willkie lost the race, but registered 22.3 million votes nationwide (more than any previous Republican candidate at this point) and won 82 electoral votes (plurality in ten states) total. Just like 1940, if you want Willkie and learn more about his life and times please feel free to make an appointment with us to explore in further depth and detail. We can be reached by e-mail: Archives@shu.edu, or by phone: (973) 275-2378. Thank you in advance for your interest.